Bodiam (say “Bo-dee-am”, quickly), in East Sussex, really is like something from a fairy-tale book, one of the most photogenic and romantic looking castles in Britain. It reminds me a little of Caerlaverock, in Dumfries. 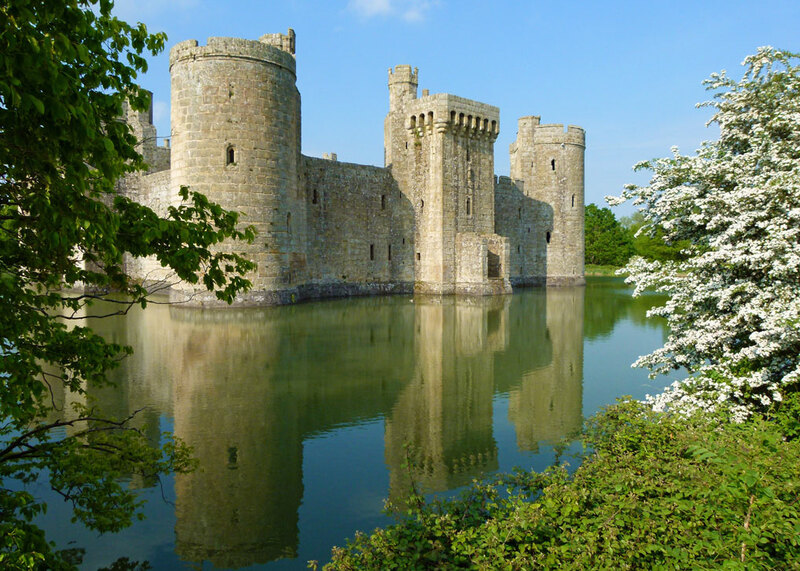 But, in contrast to Caerlaverock, Bodiam actually appears more ornamental than defensive – couldn’t you just drain that water and walk across? – not that I know much about medieval fortifications. As you get closer, you’ll see that its completeness is an illusion; it is really a ruin and the knight who loved chivalry, truth, honour, freedom, courtesy and Speckled Hen is, regrettably, just a figment of your over-active imagination. You approach from the south and see a square, more or less symmetrical, fortification ringed with towers and surrounded by its moat. Bodiam was constructed in the late 14th century and is one of the best surviving examples of a castle from that period. Unlike earlier Norman castles, it has no keep or central tower. The apartments and function rooms, the ruins of which you can see when you get past the outer walls, were built around a central courtyard. Its builder, Sir Edward Dalyngrigge, fought with Edward III in France, making his fortune as a freebooting mercenary on the English side. 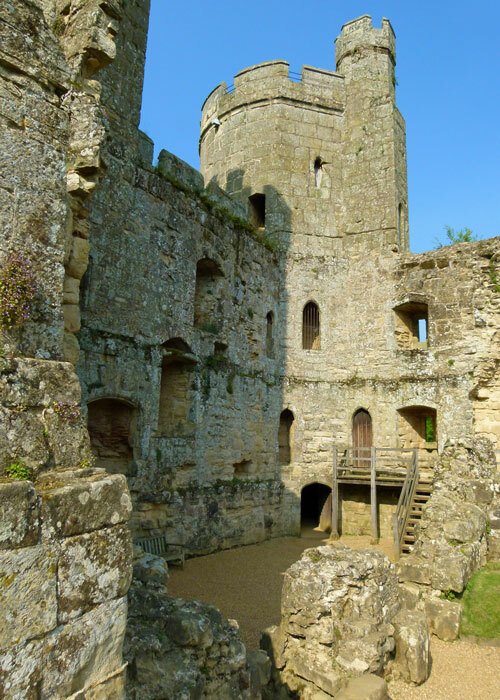 Back home, he was granted a licence from King Richard II to crenelate and fortify the old manor of Bodiam “for the defence of the adjacent country and the resistance to our enemies”. A licence to crenelate (ie build battlements etc) seems to have been an early form of planning permission usually, but not exclusively, granted by the monarch. One theory is that this enabled the king to keep an eye on fortresses that could potentially be used against him. 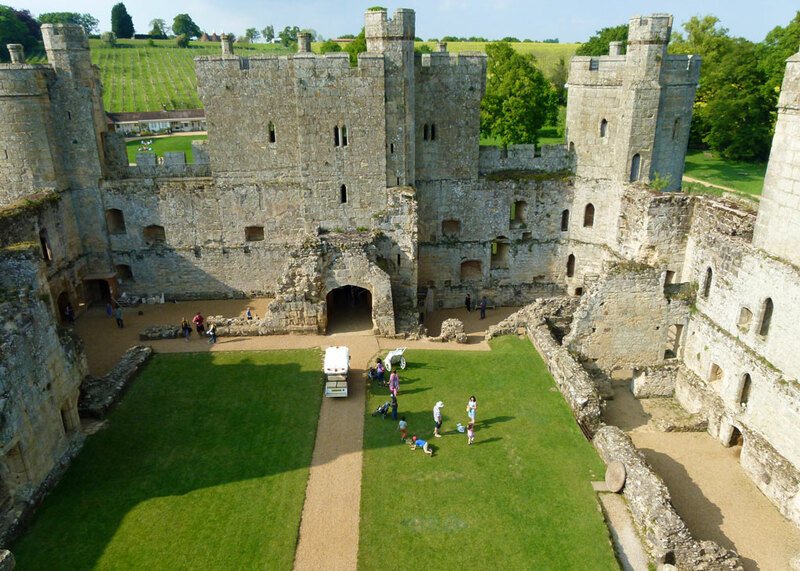 Another theory is that licences were a form of one-upmanship – castles like Bodiam are statements of power and wealth, so being seen to build one was a bit like showing off your new Porsche – only better. What Dalyngrigge did was start from scratch, building a completely new castle on a carefully chosen site, a slight dip in the ground suitable for excavating a defensive moat. And the castle appears to have been constructed relatively quickly, in one phase. 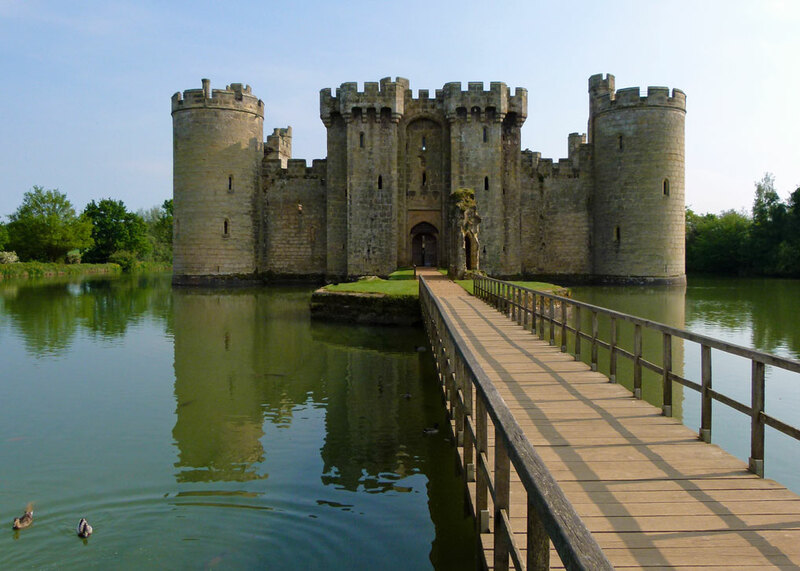 The fear of French invasion was real, so it may puzzle you that Bodiam is several miles from the coast, where the initial threat would surely come from. Of course, it could be that Dalyngrigge simply wanted a nice new impressive castle to replace his old manor house. I certainly get the impression that Bodiam Castle was more of a home than a great fortress. That said, the River Rother, these days a car width of oozing brown water a short distance to the south, was more navigable 650 years ago and sea-going ships brought supplies to the castle. If English ships could get in, so could the French. Interestingly, it was still considered a vulnerable route 600 years later; just between the castle and the river is a pill box, a relic of Britain’s impregnable defences during the 2nd World War. 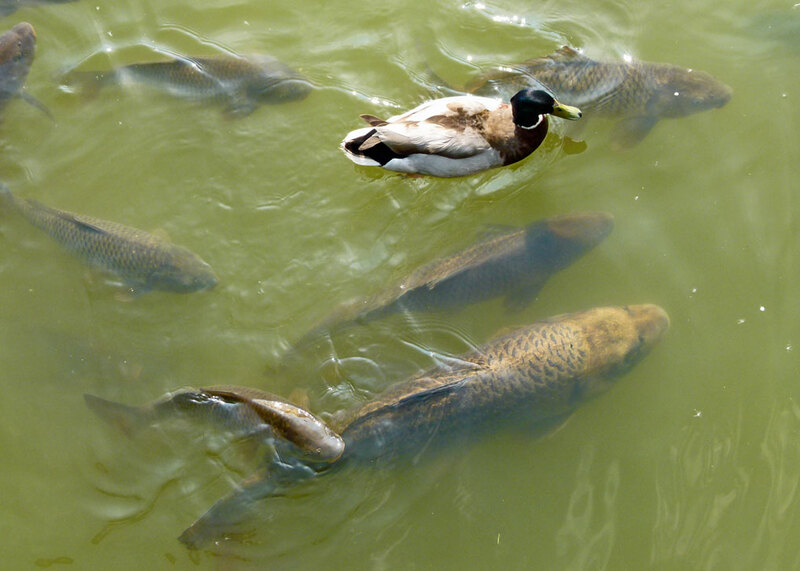 In fact, Bodiam Castle never saw any serious action – and definitely not from across the Channel. 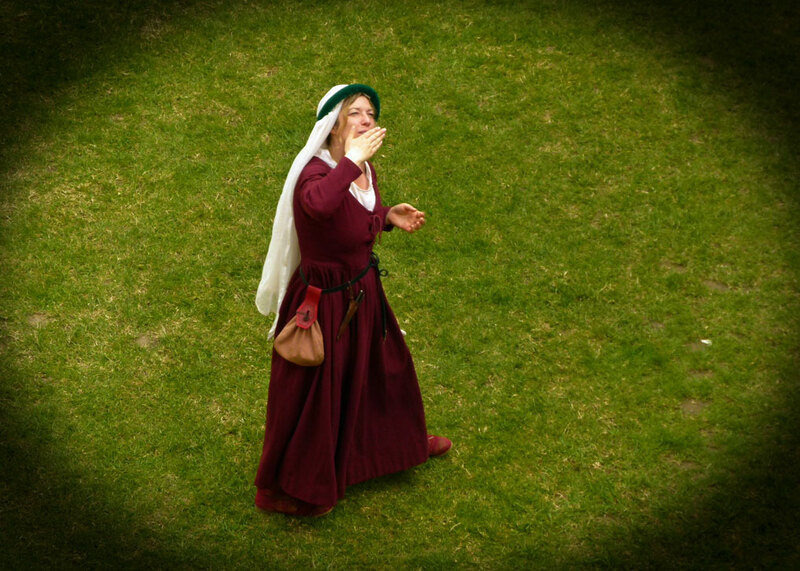 The Lancastrian garrison during the Wars of the Roses apparently surrendered to the Yorkists without much of a struggle. And during the English Civil War of the 17th century, the Royalist owner sold the castle to a Parliamentarian, who ‘slighted’ (dismantled) it. 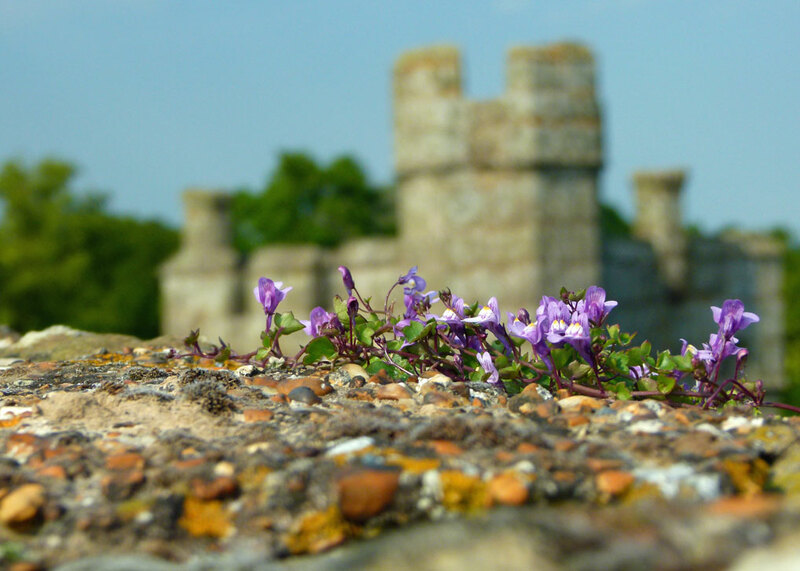 By the 18th century, Bodiam Castle, its crumbling towers and battlements festooned with ivy, had become something of a tourist attraction. Sometime around 1917, it was acquired by Lord Curzon, who initially had the idea of living in it, but who in any event carried out extensive restoration work, including dredging the moat and clearing vegetation. In 1926, he died and left the whole thing to the National Trust. So now you can explore it, and let your imagination run riot. You enter the castle from the north across a wooden bridge. About two-thirds of the way over is a small island, where a barbican gate once stood. Originally, there would have been a drawbridge from this point. Through the main gate with, apparently, its original portcullis (very rare), and you’re in. It’s not an enormous castle, but there are enough battlements to keep most fortress fans and small children quite happy – though if you’re even slightly acrophobic I do warn you that the spiral staircases can be a challenge, let alone the height of those ancient towers. Personally, I found it a good excuse to hold someone’s hand – though, whoever she was, she did give me a rather odd look. 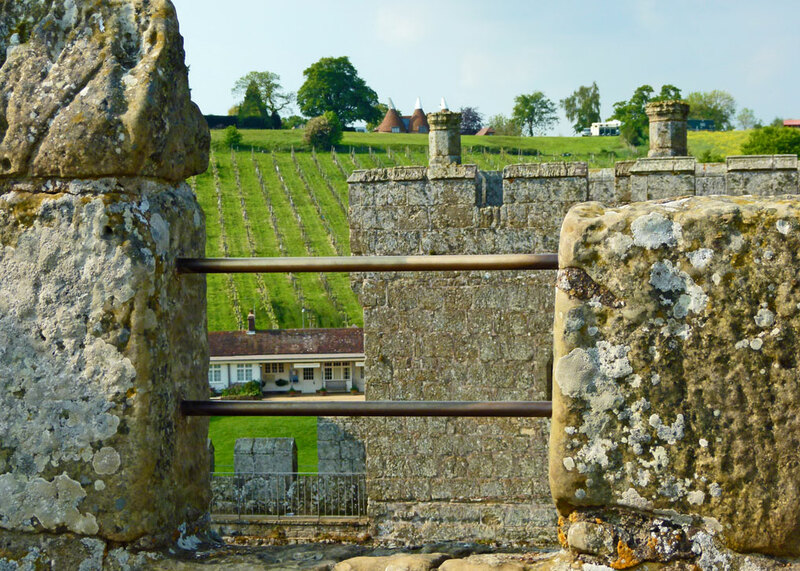 The views are tremendous, though – to the north, a vineyard rolls uphill to some oast houses; to the south, you’ll see the river and, beyond that, the Kent & East Sussex Railway – a heritage line than runs between Bodiam and Tenterden, a fine Kentish town just 11 miles away. Indeed, there’s an alternative means of arrival for you; otherwise, I suggest you drive. Mike, this is a great blog and I’m going to sign up! I love Britain, though only there twice — and hope to make a return trip. Love your writing style and great photos, too. Again, thanks for your visit to Marmelade Gypsy. Thanks very much Jeanie! I’m looking forward to seeing more over on Marmelade Gypsy. Definitely better than a Porsche! Some lovely views of the castle, it is a long time since I visited. I think this is one of my favourite Castles. Lovely to see and read your post. Yes! I have seen this myself and you are exactly right, from a distance, it looks completely intact. It is in a beautiful spot, if I remember it correctly. Thanks for another good post and have a great weekend! By chance did you get to hold that fair damsel’s hand as you climbed ‘dem stairs?! I also meant to thank you for the mention but forgot last night! 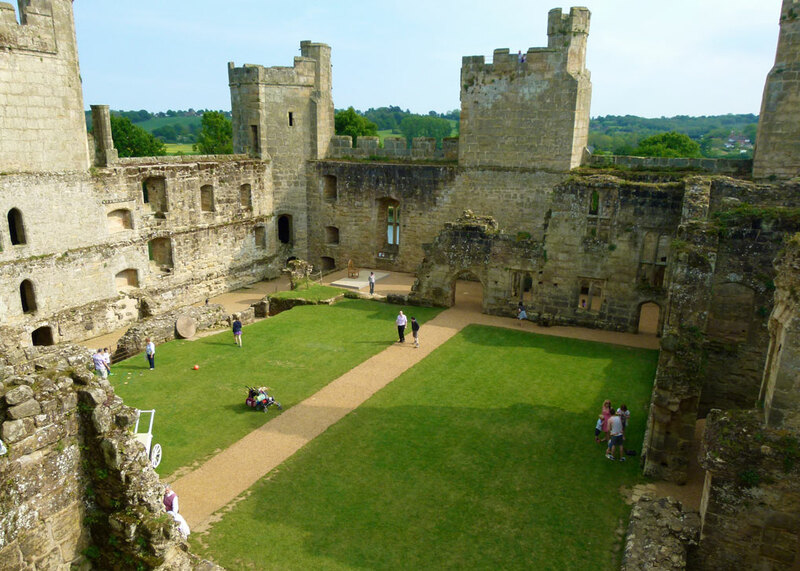 Bodiam is a ‘proper’ medieval castle! 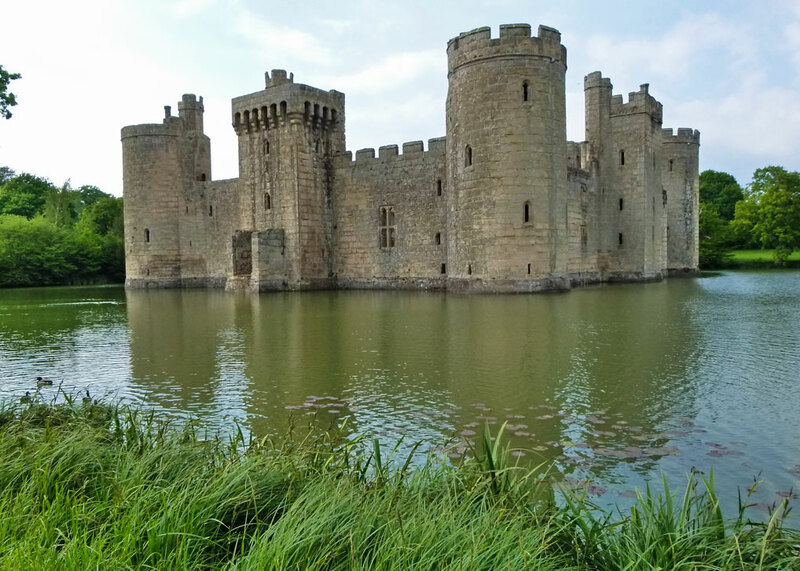 Having been brought up in Kent, in Bromley, with relatives living all over Kent and East Sussex I have seen Bodiam but unfortunately only the outside. My father didn’t like visiting places; he preferred driving past. Hey, a place we’ve been. In fact I think it was day 2 or 3 of our first trip to England, after seeing Sissinghurst on day one. Recognized the oast houses in the distance. It is a great example of a medieval ruined castle! Enjoyed our visit – about 25 years ago now! Yes, it was quite familiar! It’s photogenic too! Lovely photos. Love visiting castles.